We love this super cute top. 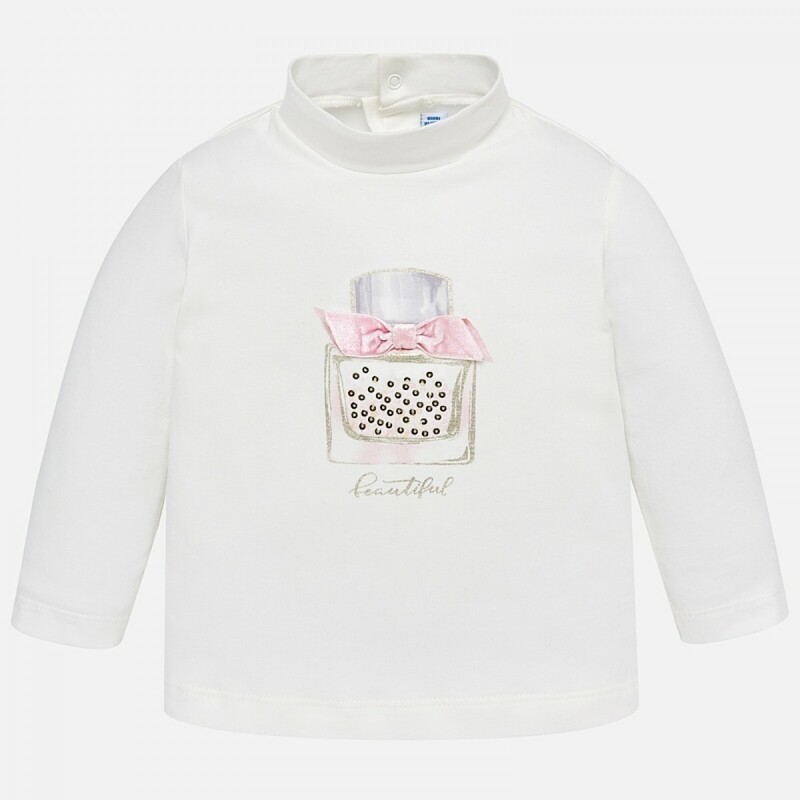 Made in soft cotton jersey fabric in ivory, with a gold perfume print and pink bow appliqué. Simple, stylish and very sweet, it's a wonderful way to have everyone smiling this Winter, wherever she goes. celebrate the season in style. The unique print is extremely cute - everyone is going to be commenting! It's very easy to wear, and the long sleeves will keep her warm when you're layering up for winter. It's easy to mix and match - you can pair it with anything and she's going to look amazing!